I've ordered a few ties awhile back and I figured it was about time to order a suit. Got my blue suit about a month ago and I must say, it is very screen accurate and fits really well. Every chance I get to wear it, I get lots of complements. 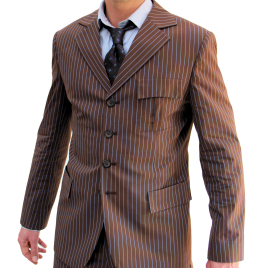 This is by far the best Tennant suit out there. I ordered from the States so the time to get here took a few months. But it was well worth the wait.